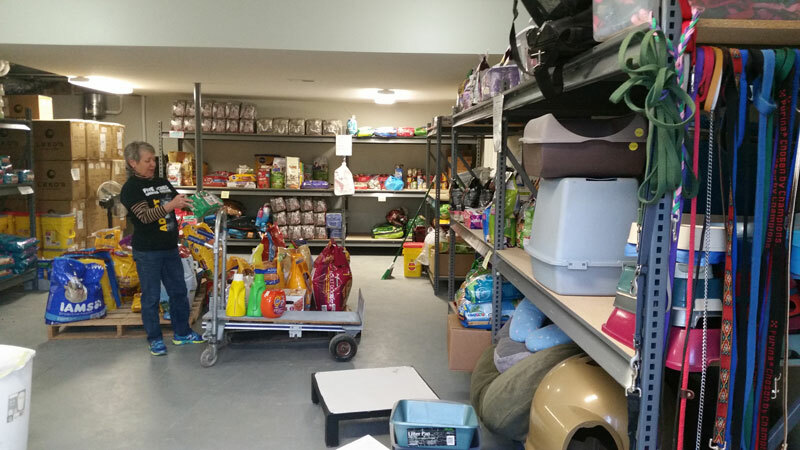 AniMeals is our food pantry for the pets of individuals on limited incomes. Many people are forced to give up their beloved pets due to unforeseen circumstances changing their income or life, just when they need each other most. We are currently helping approximately 40 families and 100 animals stay together. We feel that this service will help prevent these animals from becoming homeless, allowing us to care for other animals that might not have a chance otherwise. Anyone with proof of need such as a letter from the Department of Family Services, a referral from a human food pantry or a letter from a church leader explaining the need will be accepted. The program is meant to be supplemental, not necessarily a complete feeding program. A maximum of 4 pets per household will be provided for each month with specific amounts of food allocated per cat and/or dog. Come to the shelter during the hours listed below with your letter, photo ID and vet record(s) indicating number of animals and their weight. Then our volunteers will get you enrolled in the program. We do require another letter of need after 6 months of being in the program to establish the continued need for assistance. The AniMeals pantry is open on Sundays 8 AM to 11 AM. Closed on Holidays. STARTING SEPTEMBER 1ST, ANIMEALS WILL BE OPEN ON SATURDAYS 8 AM TO 11 AM. AniMeals is designed to be a short-term solution to financial or economic hardship. Effective January 1, 2010 the program can only assist families for a maximum of 6 months. If you need an extension your request must be submitted in writing to the Animeals Coordinator. This program is stocked entirely by donations, so please be understanding if specific types of food are not available. 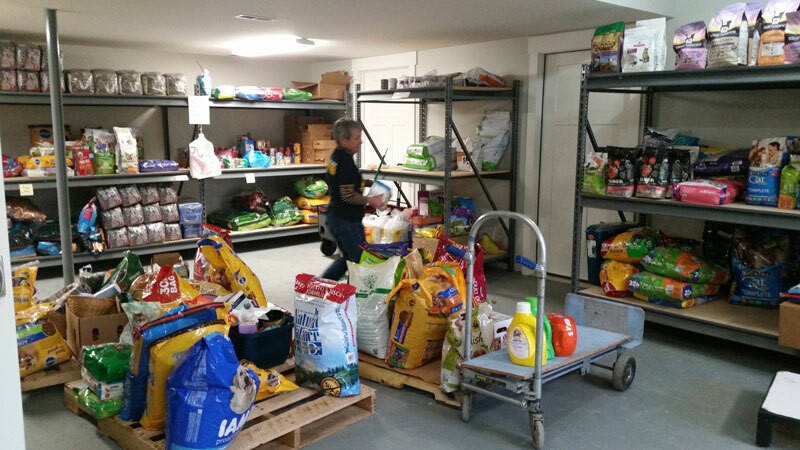 When Five Acres received donations of items that cannot be used for our animals or in our gift shop, especially food and litter, it is placed in our AniMeals program. If you would like to donate items to our AniMeals program you may drop off donations during our hours of operation.